Why are they holding the chess world championships in Iran to begin with anyways? Good for her for standing up for what she believes is right. As one of the most successful women to ever play the male-dominated game of chess, Nazi Paikidze is used to having her moves watched closely. 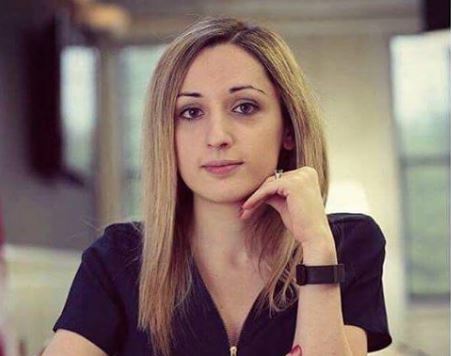 Her latest has drawn international attention: Paikidze announced last week that she will boycott February’s Women’s World Chess Championship in Iran because the players will have to wear hijabs, headscarves that cover their heads. The headscarves, required by Iranian law, have been protested as a sign of oppression in the Muslim country. Paikidze’s decision is part of a growing resistance — both inside Iran and across the world — to laws requiring hijabs. Paikidze also launched a campaign on Change.org demanding that the World Chess Federation reconsider Iran as a host for the women’s championship. The petition has been signed by more than 3,000 people. But some disagree with Paikidze’s stance. Mitra Hejazipour, a woman grandmaster (WGM) and the 2015 Asian continental women’s champion, said a boycott would be a setback for female sport in Iran.